In the afternoon of Friday, September 6, I visited Beredskabscenter Aalborgs Uddannelsescenter together with many of my Netic colleagues. 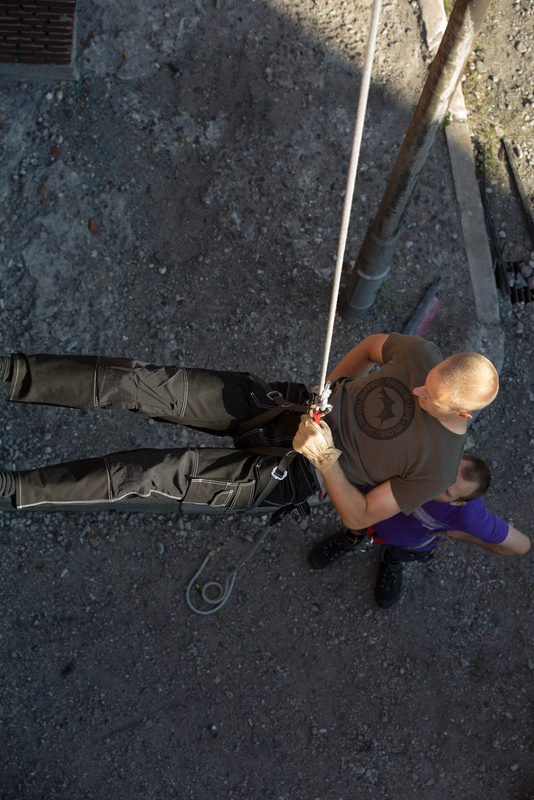 We rappelled down from the roof of a three – maybe four – storey building, and we navigated in teams through a dark maze. It was a really nice event. Thanks to Normann P. Nielsen for making it happen and to Peter Sone Koldkjær from rapelling.dk for being the instructor. In the picture above I’m rapelling, and in the picture below I’m crawling in the dark (temporarily lit up by a powerful flash). Thanks to my boss Karsten Thygesen for taking the pictures! The album from the event is available on flickr.